Kingdom Housing Association’s Care and Repair Service, which provides independent advice and assistance to help older homeowners, as well as a Disability Support Service, has recorded satisfaction levels of 98% for its work with disabled people. The annual satisfaction survey has been carried out for the Disability Support Service, with the overall satisfaction level being 98%. All aspects of the service were assessed as part of the survey, and the various satisfaction levels range from 97% to 98%. 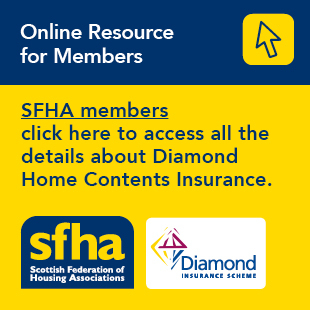 “We have been managing the Fife Care and Repair Service for 21 years, and the satisfaction levels have remained consistently high throughout this period. “During 2015/16, the service completed around 249 disability adaptions cases and achieved all business plan targets. “Care and Repair mainly provides services to older people who are owner-occupiers and, although the customers are not Kingdom tenants, the clients are potentially vulnerable and really benefit from the services provided through Care and Repair. “Great communication and speedy response. I was involved at every stage, and everything was explained clearly. “I now have a shower that I am not afraid to use. Another service offered by Fife Care and Repair is the Small Repairs Service where small repairs are carried out for eligible clients, making their home safer, more secure and helping to prevent the property falling into disrepair. There is a small charge of £10 for the Small Repairs Service, and any materials are charged at cost price. Kingdom reported that the satisfaction survey results for the Small Repairs Service were also “exceptionally high”, with satisfaction levels directly comparable to the satisfaction levels recorded for the disability services. The Small Repairs Service carried out small repairs during the year, with the majority of the repairs being carried out for people over 60 years of age or 50 years of age who have a disability.